For anyone interested in perfumery, blending a gingerbread spice mixture can be a useful exercise. You can learn to create top, heart and base notes and to understand how spices interplay to create an aroma greater than the simple sum of their parts. 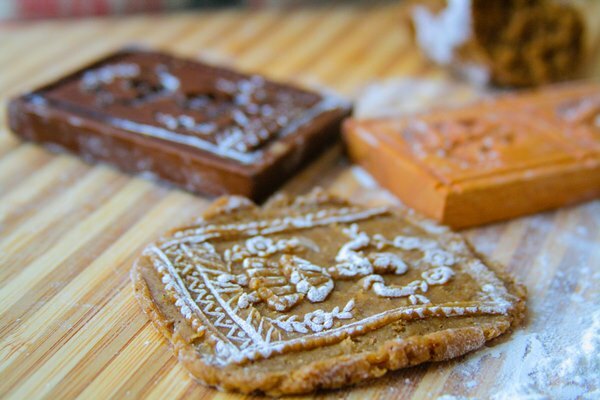 Most European countries have their own gingerbread recipe and a combination of spices that gives each regional variation its distinctive flavor. My great-grandmother’s Ukrainian version was scented with cinnamon, clove, nutmeg, star anise and a hint of saffron. When I blended it myself following her proportions, I realized that it was similar to the “gingerbread perfume” accord I learnt how to make as a perfumery student, although my liquid version didn’t have the voluptuous richness of saffron. In FT magazine column Mouthwatering Scents of Gingerbread, I write about spices, pastries and perfumes, including my four favorite fragrances with a gingerbread accord. To read the full article, please click here. More on gingerbread: Ukrainian Honeycakes with Cinnamon :: Gingerbread Spice Blends :: Belgian Gingerbread (Speculoos) :: Dutch Cinnamon Cookies (Jan Hagel). I’d love your opinion on other gingerbread redolent perfumes. Also, if anyone has a favorite recipe for the dark, moist, soft gingerbread or honeycake, I’d be most grateful. Photography by Bois de Jasmin, to make the printed gingerbread, I used the dough recipe for speculoos. Leslie: Oh, maybe others want it too, so here it is. Kate: Bois des Iles, it almost goes without saying. A very non-gourmand gingerbread, but it sits so beautifully with the sandalwood and aldehydes. Every time I wear it I’m struck again by how beautiful a composition it is, although I know it only in the EdT concentration. The pure parfum I can only dream of. Emilie: I find gingerbread like spices in Bois des Iles too Katie, hiding amongst the autumn leaves and dry woods. However I also find in the opening notes there is something fizzy and sweet that smells to me just like cola! Does anyone else get this impression in the beginning? Emilie: Woods-and-cola. It sounds like a fun new category of scent 🙂 It could rival the fruitichouli craze! 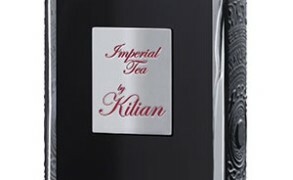 I’m not sure I love the cola accent but would like to smell Black Cashmere for comparison and to see if it grows on me. 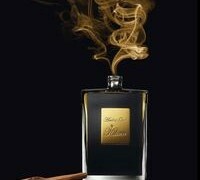 After all I find Bois de Iles EdT strangely addictive even though the top notes confuse my nose. Severine: I loved SL 5oclock Ginger Ambre. It is very polished, very English, perhaps a little toffee-nosed (pun intended! ;)). One of SL’s best. I didn’t find it dark or fudgey at all. I found it more “tea at Buckingham Palace.” Borneo is dark. To me it smelled like Cocoa-cola without fizz. Michelle: Pacifica Tibetan Mountain Temple smells like cutting into a gingerbread load straight from the oven. Aurora: One of my aunts had a delicious recipe for gingerbread, I thought I had the recipe written down but can’t find it in my folder so sorry about it, but your article brought back lovely memories of tea time with all my family, and I always enjoy your writing about your great-grandmother. Ingeborg: I would love a recipe for that dense, spicy honeycake (Dutch? Belgian?). It is way spicier than our syrup/honeycakes here in Norway. For a while years ago a Dutch industry-made cake was for sale here, rather good. But it shouldn’t be to difficult to make, had I got the recipe. A slice of that cake lightly buttered was just very good to accompany a cup of black tea.